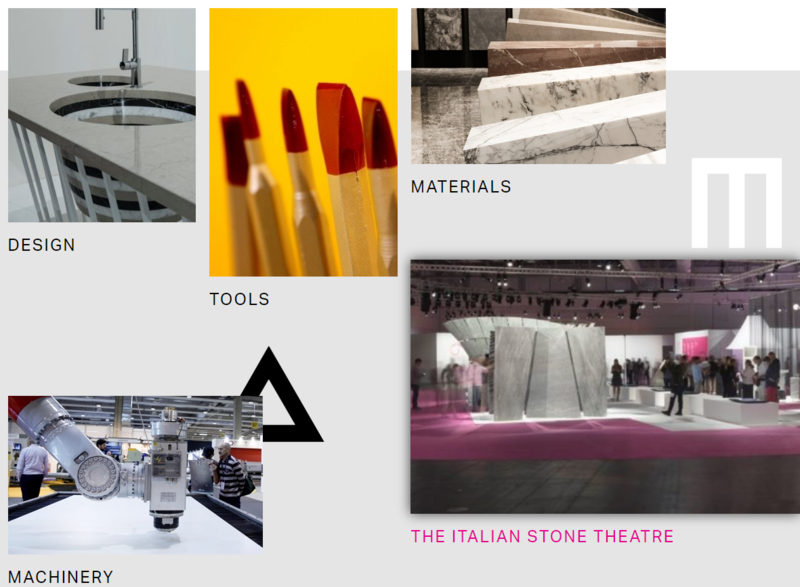 The Marmo+mac exhibition is the leading international event in the stone and design sector and the essential appointment for all producers, designers and decision makers seeking success in an increasingly specialist. A major showcase will highlight the best production traditions and innovation on a national and international scale, international projects, with many initiatives promoting the special features and wealth of marble and the expressive potential of stone materials in architecture and design. The Marmo+mac will take place on 4 days from Wednesday, 26. September to Saturday, 29. September 2018 in Verona. Coverings is the premier international trade fair and expo dedicated exclusively to showcasing the newest in tile and stone. It has grown to be the largest and most important show of its kind in the U.S., featuring exhibitors from more than 40 countries and attracting thousands of distributors, retailers, fabricators, contractors and specifiers, architectural and design professionals, builders and real estate developers, plus the press and journalists who cover this vital and dynamic industry. 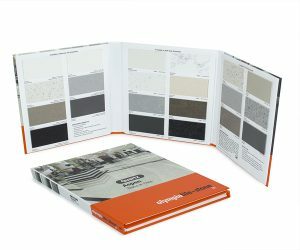 Coverings is the stage for introducing some of the most innovative tile and stone products in the world. The exposition also serves as a valuable resource for continuing education for all categories of attendees, with informative, accredited seminars and live demonstration sessions conducted throughout the event. Coverings 2018 is organized annually. The Covering Stone Fair will take place on 4 days from May 8-11, 2018 at Atalanta, GA. This year’s annual meeting in Atlanta is going to be likely to get around 25000 participants. Victor Display will present our display tools at the Covering fair. 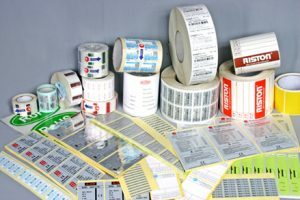 Make the best custom labels here for all your labeling needs. Whether you’re looking for product packaging, personalized gifts, name tags you can personalize them all with the help of Victor display! With our Design Tool you can make custom labels the precise size you need them for or you can use one of our templates for unique product labels. 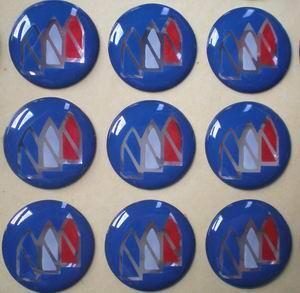 You can make them in clear or white vinyl, and with customization, you can make them to fit the stone samples you want to use. 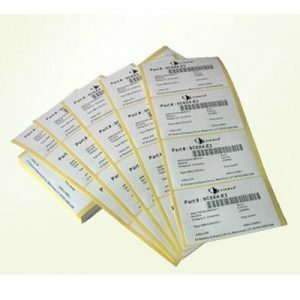 Victor Display labels are made with high quality, glossy vinyl material. Use either clear or white vinyl, and with clear, you can still use white ink in your artwork! Choose from a variety of different shapes from round labels, hearts, squares, or fancy shaped. You can even have them die cut to the image. Dome Sticker, Also known as 3D Stickers, they are made from high quality clear plastic or resin and inlaid for outstanding presentation. 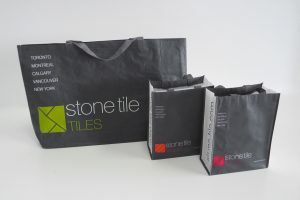 Non-woven Polypropylene Tote Shopping Bags usually made out of 80mg Non-woven Polypropylene fabric. gloss laminated polypropylene material that is easy to wipe clean while providing additional structure and strength. Designed to resist water, tears, and UV rays it includes a high-gloss finish for a fashion-forward style. 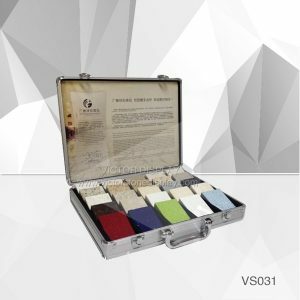 Victor display offer quality non-woven Polypropylene bags. 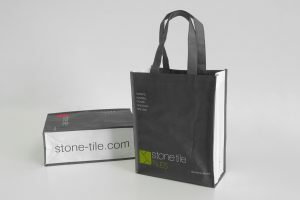 Find customization, non-woven bags with your brand and logos at discount wholesale prices. 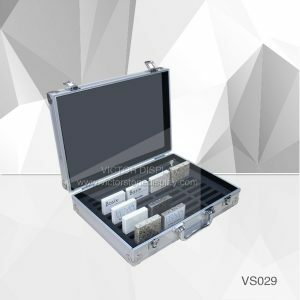 Custom Aluminum sample carry case, briefcase becoming more and more popular for granite, marble, quartz stone or solid surface samples. 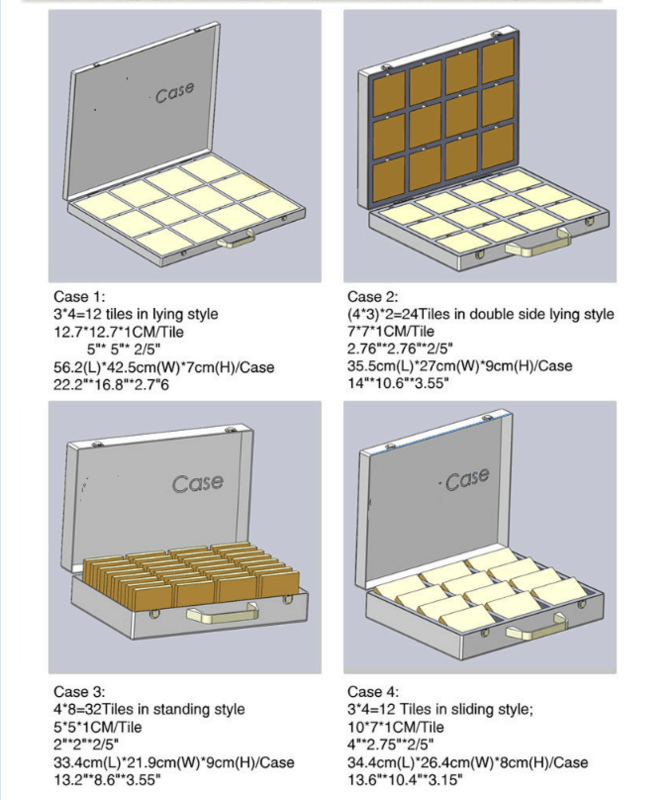 There are mainly five different way and layout sample case. Granite samples lying on the bottom case. Size can be customize. Top case can have pockets for brochures. Marble tile samples can lying on both top and bottom case. Quartz stone tile samples holding upright on the case. Top case can have pockets for pamphlet. Solid surface chip display sliding on the case. Inside of the top case can have a printed LOGO or labels. The metal case can also have casters to be a trolley case. 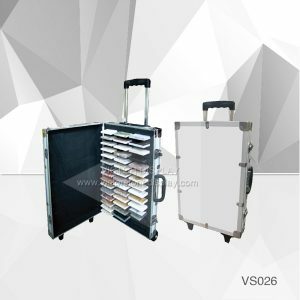 The sample carry case is made of aluminum sheet with MDF panel inside. LOGO can be print on the out surface. Color be silver, brown or black. Surface also can be fake leather. For getting price. 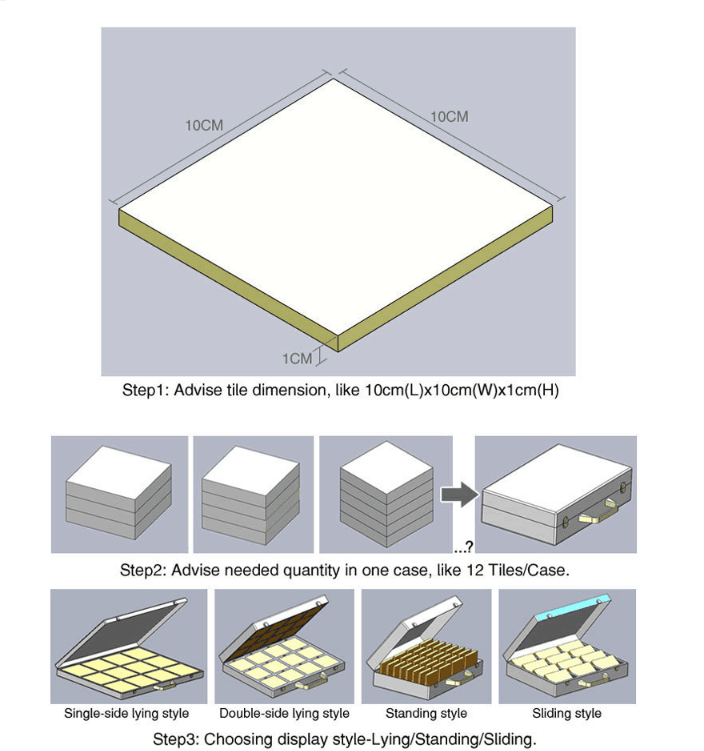 you will need advise sample chips dimension, sample chips quantity and choose the layout. 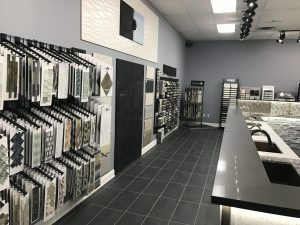 Quartz countertops have a loyal following because of their many good qualities such as their attractive appearance, durability and the fact they don’t have some of the weaknesses of natural stone. Quartz is a manufactured product and can be very attractive. 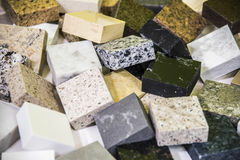 The manufacturing process allows a much wider range of colors than you’ll find in natural stones such as marble or granite. quartz countertops are definitely worth considering. Be aware of the few potential drawbacks and their price. If you’re willing to live with those things, quartz countertops should meet or exceed your expectations. Quartz stone become more and more hot sale in the stone industries. How to expand your quartz stone market in the worldwide. 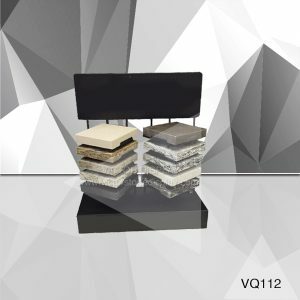 You may need some display tools for the quartz stone samples. Quartz stone have different pattern and colors. The sample can be cut into very small chips. 60*155*5MM 50*155*5Mm, 60*70*5MM , 50*70*5MM, 100*100*20MM Ect. The quartz samples also can be 5*10″ *2CM or 6*12″*2CM. 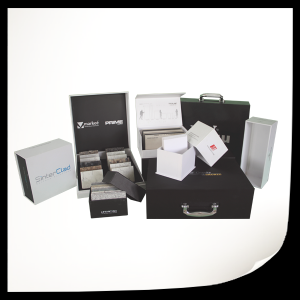 For small 5mm quartz sample chips, Sample boxes, sample binder, sample case is a good display idea. 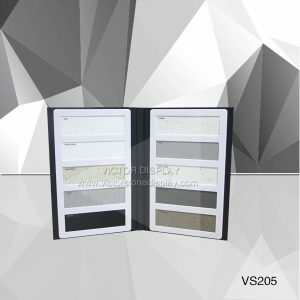 VS205 Quartz Stone Sample Display Books-LG sample bindersFor 4*4″ quartz samples, countertop display stand will be the best display method. 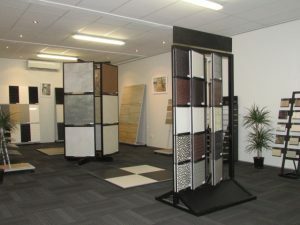 Flooring standing display stand usually work for 5*10″ or 6*12″ samples. 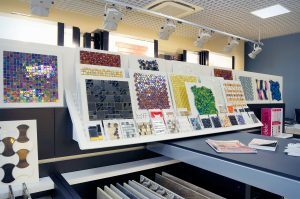 Victor Display design and produce vary marketing tools for granite, marble quartz stone and tiles. For professional suggestion please contact our customer service. 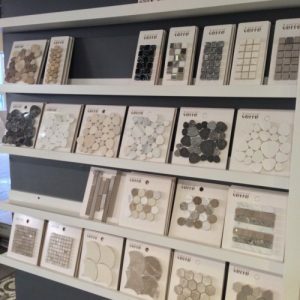 How to display tile samples? 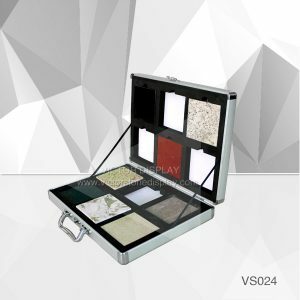 As professional display solution company, victor display give you some suggestion for tile samples display idea. 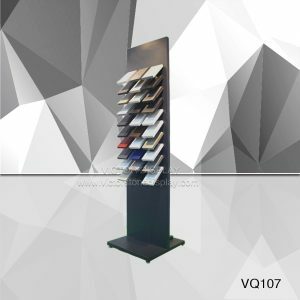 Main Display stand including metal display stand, wood display rack, waterfall display rack, wing display rack, tile display cradle and so on. 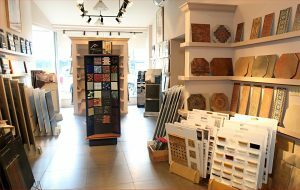 Main Tile sample boards including MDF sample boards, acrylic sample boards, cardboard sample boards, plastic sample boards and so on. China Xiamen International Stone Fair was founded in 2001. Xiamen Stone Fair develops rapidly and become the largest professional stone exhibition in the world. The purposes of this fair are to: display new products, new technology and equipment, create business opportunities, improve the communication of global stone industry, so as to promote for the development of the whole stone industry and increase trading volume. The 18th xiamen international stone fair will open from March 6-9th, 2018. Welcome all the natural stone importers, architect,decoration companies, wholesale companies visit xiamen 2018. 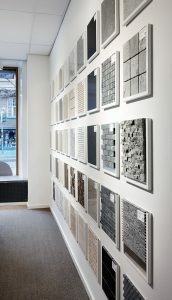 Victor Display will also present our stone and tile display ideas in the fair. We will exhibit our tower displays, tabletop displays, sample books, sample binders, sample boxes, sample cases, stone labels, LOGO tags. Our workshop just half hour from the exhibition center. Warmly welcome. Granite is a common in felsic qualitative intrusive igneous rock particles and the coarse grain texture.Granite is a common in felsic qualitative intrusive igneous rock particles and the coarse grain texture. The appearance of granite is not uniform. These stones are coming right out of the earth and are not perfectly designed by nature. Granite is widely used in house building as kitchen tops, floors and outside building. Granite is one of the natural stone. Indian, China, Turkey,greek are the main granite tile export countries. China have a large range color of granite stone. China granite companies will show their products in xiamen stone fair Mar 3- Mar 9. Over 100 countries buyer will visit xiamen at that time. •Placing hot items or cutting on granite will never damage the surface. While your ship any granite products from xiamen, you can purchase some of our granite stone display tools at the same time. 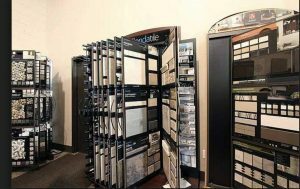 Our products can ship together with your granite products. 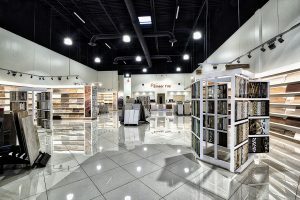 How to show granite samples ? 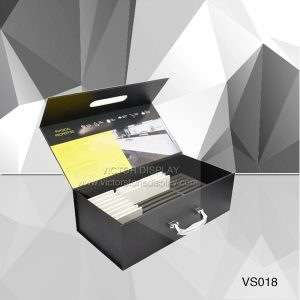 Tower display, tabletop display, sample books, sample binders, sample boxes, sample case, sample broads are very good tools to show different size of granite samples in showroom. 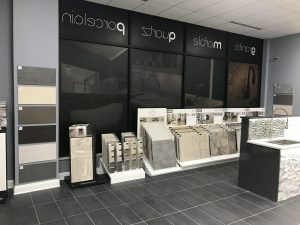 Following designs are most popular in the stone and tiles industries.